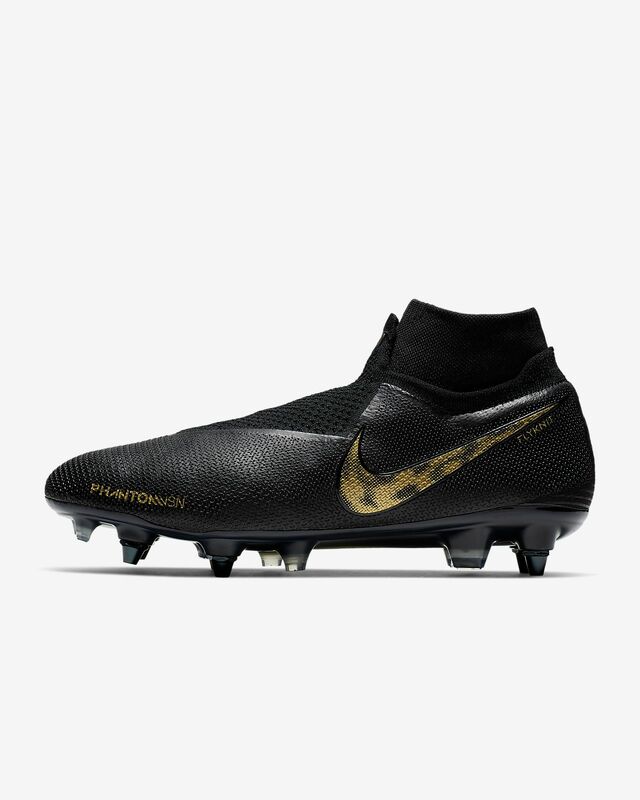 The Nike Phantom Vision Elite Dynamic Fit Anti-Clog SG-PRO Football Boot gives you an unrivalled fit and excellent boot-to-ball connection. It&apos;s built for players who need precision and control on the pitch. The Quadfit mesh inner bootie micro-adjusts to any foot shape. It feels soft and game-ready with a secure fit. The Dynamic Fit collar wraps your ankle with soft, stretchy knit to let your foot move freely. Textured Flyknit construction has a grippy feel for amazing ball control—even in wet conditions. It&apos;s tuned for structured support and adaptability in different areas. The Ghost Lace system conceals the laces for optimal boot-to-ball connection. A super-light, full-length plate feels responsive and has multi-directional studs for quick cuts and bursts of speed. Anti-Clog Traction helps prevent the ground from sticking to the boot so you maintain agility in muddy conditions. Fixed and detachable studs come in different lengths so you can get the traction you need. Have your say. 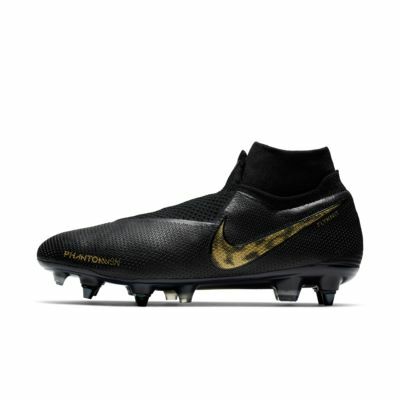 Be the first to review the Nike Phantom Vision Elite Dynamic Fit Anti-Clog SG-PRO.